I recently attended an event and had the fortune of meeting a very interesting person. He was announced as guest speaker Mr. Joseph Calata. So who is Mr. Calata? Based on the internet he has been documented as a Filipino business tycoon, agricultural industrialist and philanthropist. He serves as the Chairman/President and Chief Executive Officer of Calata Corporation, one of the largest combined distributor of agro-chemicals, feeds, fertilizers, and seeds in the Philippines. Mr. Calata is also credited as the one responsible for bringing his company into the Top 1000 companies in the country. At age 31, he became a self-made billionaire following his company’s initial public offering in the Philippine Stock Exchange. 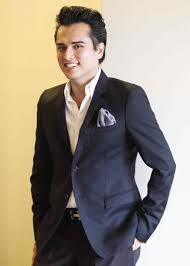 He is also one of the youngest chairman of a publicly listed company in the PSE. So how did he become successful at such an early age? Mr. Calata narrates that he comes from a normal family. He entered multi level marketing at an early age and has learned the ropes of business by being bold and passionate. It is unheard of for an owner of an agricultural company to be tech savvy but Mr. Calata has already introduced a wide array of tech products to help poor farmers earn more. One of the more popular one is a mobile app designed to connect farmers directly to the buyers. Effectively eliminating the need for middle men. He was also the pioneer of creating and using an online system with accounting and distribution for an agricultural business. This has lead to an unheard of productivity in their industry. I also discovered that while talking to him you would realize that the person has no airs. He doesn't speak English that much and you can easily relate to him. He explains to you the most complicated agricultural terms using common sense. Another thing about this young billionaire is that he is very down to earth and people can see how close he is to his people, whom he treats as family. It can be seen with our short time together that the future of agriculture here in the Philippines is indeed in his hands. A great man, Mr Joseph Calata is the key to transforming the Agricultural industry here in the Philippines into a lucrative and wholesome business venture.